We couldn’t have asked for a better end to 2016. 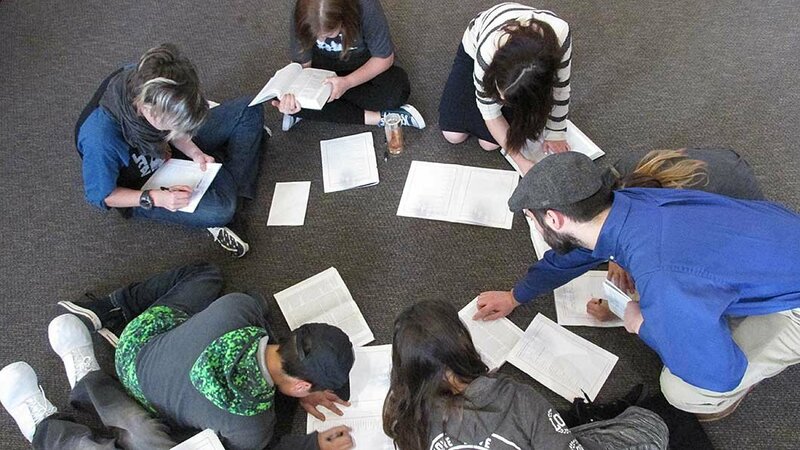 Teenagers sitting casually and learning during the recent Hanukkah Shabbaton in Hudson, WI. Several years ago, at FFOZ’s annual Shavu’ot conference in Hudson, Wisconsin, I remembered being struck by how invested my peers were in a theology that the rest of the world, for the most part, didn’t understand. The young people were the ones who had a keen sense of the important questions. They wrestled with and worked through tricky ideas late into the night and early in the morning. For whatever reason, the young men and women of the Messianic movement I’ve gotten to know feel responsible for their faith in a way that I haven’t seen elsewhere. Maybe the stakes are higher. Maybe the community is smaller and tighter. But I’ve been consistently impressed by the passion for a right interpretation of Scripture that I’ve seen among my friends. The recent Shabbaton in Hudson this Hanukkah was, for me, an exciting opportunity to return to those friendships. And not only to do theology with these friends but to do life—to see what Messianic Judaism looks like outside the boundaries of biblical exegesis and exposition. For better or worse, Messianic Judaism has grown up since the 1970s with a predominantly academic trajectory. It hasn’t extended to other areas of life in nearly the same way that Christianity has. 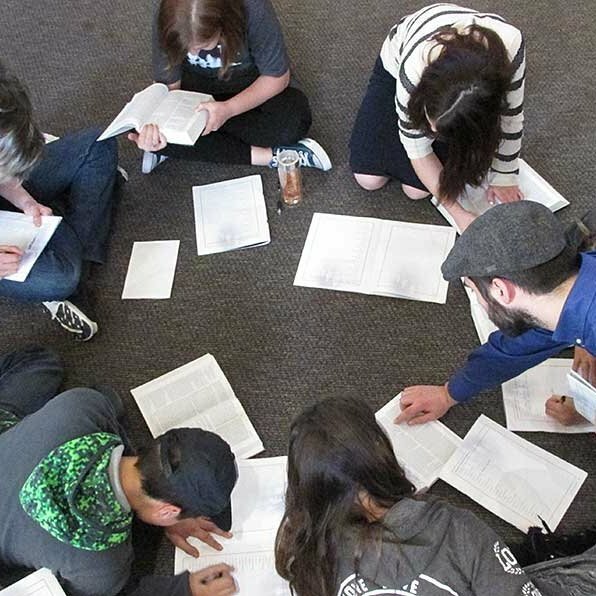 For many kids growing up in the movement, they know what it means to be a Messianic Jew or Gentile only within the walls of their congregation or home fellowship. Events like this Shabbaton kick the door open on a Messianic lifestyle that—at least for a few days—doesn’t feel acutely countercultural. Almost fifty kids from all across the 12-21 age range traveled to Beth Immanuel Sabbath Fellowship for the Shabbaton. After a series of teachings by Aaron Eby on the first day about Jewish syncretism and the untold history of the Hanukkah revolution, the group of us, led by Toby and Shannon Janicki, hit the slopes in snow tubes. There’s nothing quite like careening down an icy hill at breakneck speeds to cap off a day of historiography. Kids from all across the 12-21 age range sitting in Bet Immanuel in Hudson listening to Aaron Eby teaching about Hanukkah. In the following days, Toby Janicki and Daniel Lancaster delivered teachings offering a Messianic Jewish perspective on miracles—understanding miracles as momentary glimpses into the Messianic Era, and as events to be expected, but we are not to rely on them. Smaller groups were encouraged to discuss questions raised by the teachings. 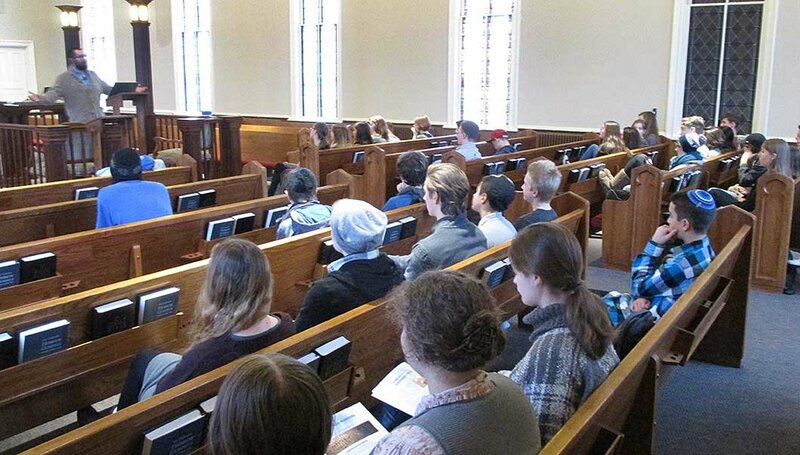 Lectures ended Friday afternoon as preparations for the Sabbath began. Kabbalat Shabbat has become one of my favorite services in the Jewish liturgy, and the Friday night songs were only more cacophonous and moving, amplified by the voices and percussion of dozens of young folks. Saturday evening held a rousing Hanukkah party, replete with latkes, dancing, white-elephant gifts, and brutally competitive dreidel-spinning games. Since the last night of Hanukkah also fell on New Year’s Eve, Daniel Lancaster led the 12-21 group on a midnight walk down to the St. Croix River to usher in the New Year with an impressively loud and exceedingly Scottish rendition of "Auld Lang Syne." We couldn’t have asked for a better end to the Hanukkah season or 2016. Unwillingly, we said our goodbyes and packed our bags for our plane and car rides back into the Diaspora. As I drove back to college in Chicago the following day, I felt profoundly thankful for little pilgrimages like this Shabbaton that immensely encouraged me in my faith and prepared me for my dive back into an environment unsympathetic to my beliefs. About the Author: Paul Vermeesch is a third-year undergraduate at Wheaton College. His pursuits include media ecology, visual arts, literature, Hebrew, history, and all things Lego.